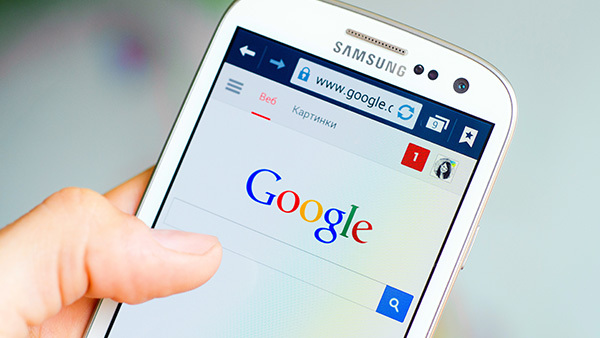 Google’s mobile-first index: Is your business ready to rank? Last month Google announced a significant shift in indexing. Instead of ranking the desktop version of websites, they will instead switch to ranking the mobile versions. This change will impact all businesses with an online presence. How much you’ll be affected and what you need to do to prepare depends on your existing setup. Up until now, indexing the desktop version of a site made sense. After all, this is where the majority of users did their searching. But with over 50 percent of Google searches now carried out via a mobile device, this is no longer the case. Because of this the quality of the results is being impacted. When a user searches on a mobile device they’re currently served up the ‘best’ results based on the desktop versions. However, because mobile sites often have less content, if the mobile site they’re directed to doesn’t have the content the results indicate it can lead to dissatisfaction. With mobile-indexing this won’t happen. When Google’s mobile-index algorithm is fully implemented, Googlebots will crawl the mobile version of your site and re-rank it accordingly. If your site isn’t ready for these new crawlers, your ranking is likely to be negatively affected. Are you ready? If you have a responsive/dynamic site you won’t really be affected because your mobile content is the same as your desktop. If your site is already ranking well in search, it will continue to do so in line with your optimisation efforts. If you have a mobile optimised or dedicated mobile site which is distinct from your desktop version, you’ll need to make changes to ensure your mobile site is optimised for search. If your mobile site content and markup is insufficient, your ranking may drop. If you don’t have a mobile version of your site you should be looking to rectify this. In the meantime, Google will continue to index the desktop version but will do so as mobile Googlebot. If you’re currently developing a mobile site, it’s better to stick with your desktop version than implement an unfinished mobile site. Carry out a content audit – if your mobile content has fewer SEO friendly elements than your desktop version e.g. less copy, a reduced number of long tail keywords – you should consider making additions/revisions. Verify your mobile site on Google Search Console – this will ensure you are notified about any issues on your mobile site, such as crawl errors. Use Google’s txt testing tool – this will check your mobile site to ensure you aren’t blocking Googlebot. This is important because anything you block won’t be indexed. Run Structured Data Testing – do this for both your mobile and desktop URL and then compare the difference. Address any syntax errors, and add structured markup you may have previously removed from your mobile site but avoid adding anything non-essential. Optimise your H1s and Title Tag – just as is best SEO practice for a desktop site. Eventually Googlebot will use your mobile version of these for indexing and ranking. Use Fetch as Google – this will show you exactly how Googlebots crawl and render your site. Canonical links – if your site has these, there’s no need to make changes. Google will continue to use these links as guides to serve the appropriate results to a user on desktop or mobile. Links – these are not affected at the moment. Currently people have less links on their mobile site. This may need to be amended in the future. Mobile content behind tabs – while Google devalues content behind tabs on desktop, the content behind tabs on mobile, which is used as a feature to make it easier for searchers to find content quickly, will not be devalued. Page speed – page speed efforts are typically focused on desktop meaning mobile speeds are given less attention. Google is still working on how page speed will play a role. It’s going to take a while for Google to make the transition, so there’s no need to panic. But if your business does need to make changes, the sooner optimise your site for mobile indexing, the better. If you have any questions you can email Google via the Webmasters Forum. If you need any help bringing your site in line with mobile-indexing, give us a call today.